An annual Southwell Town Guide is also produced each August. 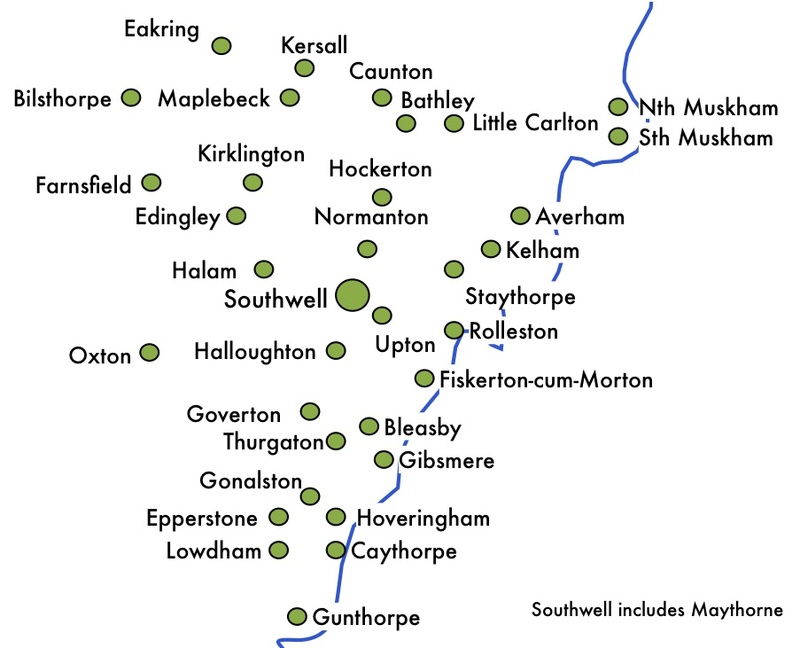 The full colour glossy magazine contains information on local services, schools and churches, contact details of clubs and organisations in the area, places to visit and a map of the town. Advertising works in The Bramley because people open it and read it! Published monthly for the past 43 years, the free community newspaper is delivered to 11,500 houses and businesses in Southwell and 34 surrounding villages. Packed with local news, club reports, What's on guide and comprehensive Services section, the paper is well read and enjoyed by residents. Our advertising rates are extremely competitive and include free advert design and listing in our online Business Directory. Prices start from as little as £10 (+ VAT) and we are proud of the high proportion of long-term advertisers. We manage a team of local delivery people to ensure that the newspaper is delivered comprehensively within the distribution area illustrated below each month.